Looking for Fireplace Manufacturers in the UK? Here at Firecraft, we offer a trade and supply service, where we will manufacture stone fireplaces for you, to re-sell within your store. 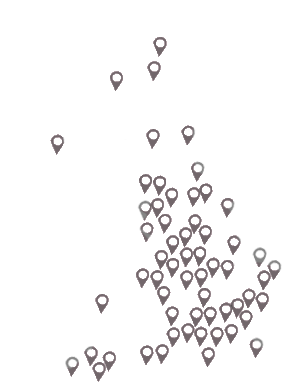 We have been in the industry for over 35 years and have built up a very strong portfolio of outlets that we work with – up and down the UK. If you’re interested in becoming a trade customer with us here at Firecraft, then contact us here. Our expertise within the industry has allowed us to offer a trade service where we can supply your store with the finest hand crafted Firecraft fireplaces available. Here at Firecraft, we place a huge emphasis on quality and finesse. We understand that choosing a fireplace is indeed a long terms commitment and that quality and durability should never be compromised. This is why many outlets turn to us when they are looking for Fireplace Manufacturers. We also have built up valuable insights and experiences that go into making the ideal fireplace, through our expert craftsmanship. We will tailor your desired fireplace into any style, shape or size you want. Whilst we do have our own unique styles that we can offer, we can design a batch of fireplaces to your requirements. We offer a Life-Time warranty on all of our products and materials, so you can be rest-assured that the fireplace you sell in your store has a long term seal of approval. If there is a specific material you have in mind, we have the right material for you! We have scoured the UK and Europe and have visited many quarries to look at the alternatives. Nothing really compares to the craftsmanship that we inject into the fireplaces we manufacture. We can source our fireplaces from abroad, but we choose not too, as we like to create something completely unique, placing the emphasis on quality. We are always keen to work with new stores and outlets. If you’re interested in working with us here at Firecraft, please feel free to call our team via 0116 269 7030 or alternatively send us a message via our online contact form. Use our form below to find the experts closest to you.